Know what’s a little surreal? Being invited back to your undergraduate alma mater to give the opening professional development workshop to the faculty. 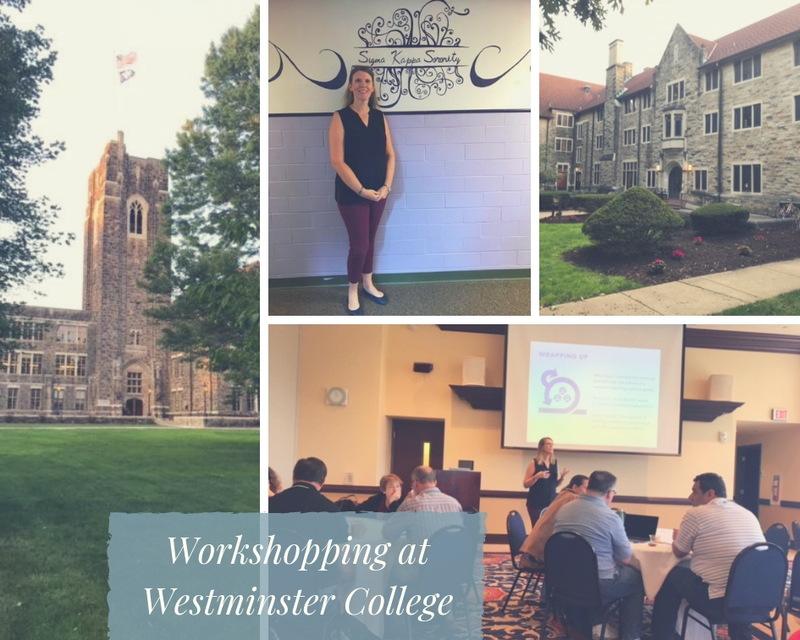 I had the pleasure of returning to Westminster College (PA) to facilitate the opening professional development workshop of the AY 2018-2019. We spent the morning talking about designing good group projects, assessing group projects, teaching students to effectively collaborate, and using Scrum in both classes and in professional activities as faculty members. I graduated from Westminster in 1998 (yikes, 20 year reunion this year) and loved everything about that experience (except the usual drama associated with being a college-age woman). My experience there is the reason I actively pursued a career at a liberal arts institution rather than a big R1. I consider myself lucky to have been able to attend a small private four-year residential liberal arts college. Not very many people in this country have that privilege, but we were also lucky because most of us came from the working class values inherent in growing up in western Pennsylvania and eastern Ohio. I could list many transformative experiences reading and writing for different courses, having deep conversations with my faculty mentors, being a sorority leader, editing the yearbook (not very well, looking back). But let’s just say it was an honor to come back to campus and showcase what a Westminster grad can do.